Our own Rock Jensen has an article published in the May 2016 issue of “Health Facilities Management” Magazine. 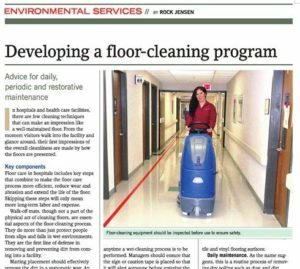 In the article, Rock provides advice for the maintenance and restoration of your hospital and health care facility floors. You may view the article “Developing A Floor-Cleaning Program” here.